Please feel free to share this information on your web site. Every year our partners, Shana De Caro and Michael Kaplen, devote their time and dedicate a portion of our firm’s fees to brain injury education, prevention and advocacy. We are nationally recognized for our leadership roles in the field of brain injury law. Shana De Caro is a member of the board of directors of the Brain Injury Association of America. 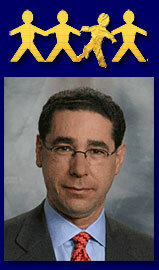 Michael V. Kaplen is three term past president of the Brain Injury Association of New York State. Shana and Michael have each served as chairperson of the American Association for Justice Traumatic Brain Injury Litigation Group. We have created a brain injury scholarship to assist survivors of traumatic brain injuries who want to pursue a college education. Our attorneys help people who have sustained brain damage caused by all types of accidents. As advocates for people with a brain injury and their families, we have witnessed the incredible hardships they have endured and the dedication and determination that are necessary to help rebuild their lives. We want to recognize an individual’s hard work and perseverance in living with a brain injury and pursuing his/her dreams and goals. This scholarship is an important reminder that each and every person who has sustained a traumatic brain injury is an individual, not just a statistic. Today many industries place profits over safety, such as the trucking and motor vehicle industry, construction industry, negligent doctors, and sports organizations, both professional and school or community-based. We lose sight of the full impact these injuries have on both the individual and family. A life can be changed in an instant. In honor of Brain Injury Awareness Month a scholarship of $ 1,000 will be awarded to one applicant for the year 2017. This week, Professor Joseph Fins wrote an article advocating for the rights of brain injury victims. The article entitled, Why advances in treating those with brain injuries require advances in respecting their rights is a worthwhile read. [A]fter gratitude for a life that has been saved, the truly difficult part begins. Patients and families face a slow-paced and often fickle recovery. Tragically, this phase is often made more challenging by the burden of poorly designed insurance coverage. Families struggle to get their loved ones needed rehabilitation. If they do get rehabilitation, it is often too short to make a difference. Indeed, if patients are too slow to demonstrate improvement, services can be cut off because of stringent “medical necessity” admission criteria, often from third-party insurers. It's time that insurance companies provide the care to brain injury victims that they deserve. Anything less is a violation of their rights. The Brain Injury Association of America (BIAA) has announced the scheduling of a free webinar to explore challenges in rehabilitation services following a brain injury under managed care medical systems. The webinar will be conducted by Bruce Gans, M.D., executive vice president and chief medical officer of the Kessler Institute for Rehabilitation, and chairman of the board of directors and CEO of the American Medical Rehabilitation Providers Association. My partner, brain injury attorney, Shana De Caro serves as a member of the Board of Directors of the Brain Injury Association of America.